Minserv and Geologynet were originally created in 1990...lots of information has been added since then. 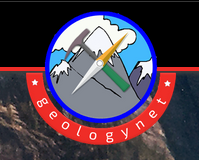 We now have over 2000 links to geology related software, information and products. The original software is still available, having undergone many updates. My flagship product, Winrock contains a great deal of original code developed by myself to classify and analyze a variety of rocktypes. Добро пожаловать в minserv.net и geologynet.com. Minserv и Geologynet были первоначально созданы в 1990..., большая информация была добавлена с тех пор. У нас теперь есть более чем 2000 ссылок со связанным с геологией программным обеспечением, информацией и продуктами. Оригинальное программное обеспечение все еще доступно, подвергнувшись многим обновлениям. Мой флагманский продукт, Winrock содержит много оригинального кодекса, разработанного один, чтобы классифицировать и проанализировать множество rocktypes. -WinRock is a petrology/geochemistry program for Windows. WinRock plots IUGS igneous classification diagrams, including QAPF diagrams, plus sandstone, general purpose XY, pie, log, and ternary diagrams. Each diagram contains separate labeled fields corresponding to individual rock types with data and rock names listed in separate tables. There are optional tick marks, labels, titles, fonts and fields, plus a choice of symbols and colors. Data can be marked and labeled using the drawing tools. There is a built in spreadsheet with multiple document interface and clipboard support. WinRock - программа петрологии/геохимии для Windows. - The WinRock Rock Classification Wizard is a rock classification program for use with mineralogical data. The WinRock Rock Classification Wizard uses the International Union of Geological Sciences recommendations for igneous rock classification and uses modal mineralogy or XYZ data. WinRock Wizard also classifies sedimentary and metamorphic rocks and meteorites. Simply follow the prompts to classify your rock. A series of questions is given during the classification process. Select one of the multiple choice answers that bests fits the description of your sample. The final answer may be a specific rock type or a general rock group with the option of classifying the rock further using tables provided. WinRock Визард является программой классификации скал для использования с минералогическими данными. -Contour3DMS is a Windows program for plotting drill hole/sample maps and contour maps. A wide variety of options allow the maps to be customized to your requirements. Designed for presenting and interpreting geological field data. Contour3DMS consists of 3 integrated modules built into one application. These 3 modules are: Contour3DMS - программа Windows для нанесения буровой скважины / типовые карты и контурные карты. -CrossSectionMS is a Windows program for plotting drill hole/sample maps and cross sections. A wide variety of options allow the sections to be customized to your requirements. Designed for presenting and interpreting geological field data. CrossSectionMS consists of 3 integrated modules built into one application. These 3 modules are: CrossSectionMS - программа Windows для нанесения буровой скважины / типовые карты и поперечные сечения. - DrillHoleMS is a Windows program for drawing and plotting drill hole/mine cross sections, drill/well logs and plans. A wide variety of options allow the sections, logs and plans to be customized to your requirements. Designed for presenting and interpreting geological field data. DrillHoleMS consists of 5 integrated modules built into one application. These 5 modules are: DrillHoleMS - программа Windows для того, чтобы потянуть и подготовить буровую скважину / поперечные сечения шахты, бревна тренировки/хорошо и планы. 3. LogPlotMS, for plotting and drawing Drill Logs and Other Logs. Field Tools для геологов. 3. Drill Log Module for plotting drill logs. LogPlotMS - программа Windows для нанесения буровой скважины / типовые карты и регистрации тренировки. - Pointscan is a point counter for windows. Keep track of point counting on your pc or notebook computer without having to retype data. Eeasy to use graphical interface with push buttons and numerical display. Pointscan - счетчик точки для окон. - Xplotter is a general purpose scientific graphing program for Windows. A wide variety of options allow the graphs to be customized to your requirements.Xplotter - научная изображающая в виде графика программа общего назначения для Windows. --XRDCALC is a Windows powder diffraction utility for identifying phases, calculating and plotting powder diffraction data. XRDCALC calculates d-spacings and two-theta and plots digital scan files, two-theta or d-spacing vs intensity stick plots and peak profiles. Designed for mineral powder diffraction data. XRDCALC - порошковая полезность дифракции Windows для идентификации фаз, вычисления и нанесения порошковых данных о дифракции.